Narrator A high school science class is about to begin. A teacher engages four active students: boys Fernando and Gerard and girls Tracy and Bernadette. Teacher Okay, good morning, everyone. Let’s review what we have learned about NASA’s space shuttle program. Who can summarize this program? Fernando I can, sir. The space shuttles were a fleet of five reusable space vehicles used to ferry astronauts and supplies into Earth orbit and back. Their names were Columbia, Challenger, Discovery, Atlantis, and, um, oh, Endeavor. They were also called orbiters or orbiter vehicles. Teacher Who can add some more information? Tracy Um, they flew a total of 135 missions over 30 years, from 1981 to 2011. Not only did they inspire generations of potential astronauts and aeronautical engineering students, but they were also instrumental in constructing the International Space Station (ISS). Teacher Good. Their missions were numbered as STS-x, where x is a sequential mission number. What does STS stand for? Gerard STS stands for Space Transportation System. So the first mission was STS-1, and the final mission was STS‑135. Columbia flew STS-1 and Atlantis flew STS-135. Teacher Correct. And what, um, mishaps did this program encounter? Bernadette Well, there were a couple of shuttle disasters. The first one was the Challenger. It exploded shortly after launch, killing all astronauts on board. Fernando And the second one was the Columbia. It exploded upon reentry. Again, all seven astronauts died. Teacher Correct. The space shuttle fleet got old and had to be retired from service in 2011. Since that time, the USA has had no means of carrying astronauts and supplies to the ISS. This situation has changed recently. In 2002 a company called SpaceX was founded. Its purpose was to revolutionize space technology with the ultimate goal of enabling people to live on other planets. Tracy I’ve heard of that company. Its founder is Elon Musk, a billionaire. At the end of 2010, SpaceX was the first private company to send a spacecraft into space and back! “Private” here means no government-funding. Teacher Correct. They knew that NASA would need a replacement for the space shuttle program, so they designed a replacement vehicle called the Dragon. 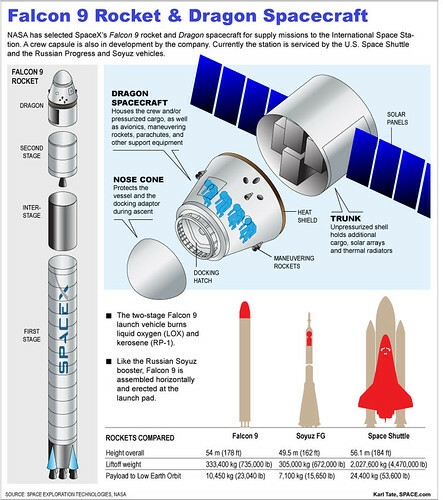 In 2012, they launched a Dragon spacecraft to successfully deliver cargo to the ISS. 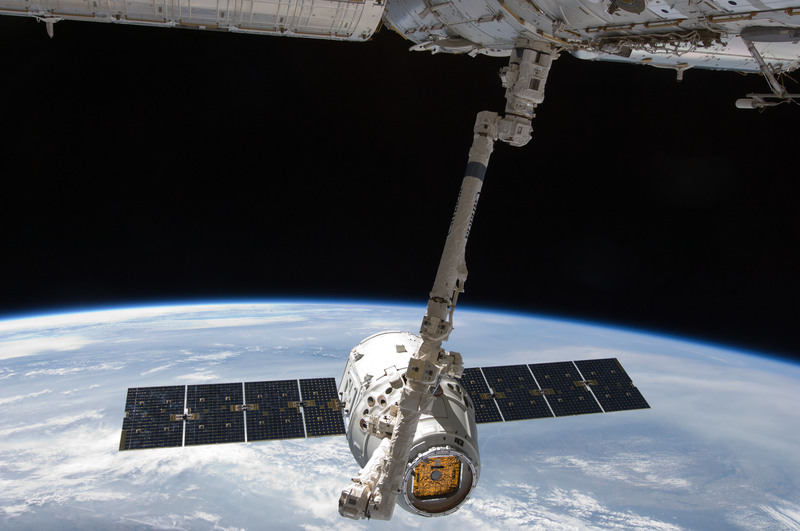 Since then, the Dragon has delivered cargo to and from the space station multiple times. Gerard Cool. How does the Dragon compare to the old space shuttles? Teacher Well, the Dragon was shaped differently and was not reusable at first. They were one-time-use, disposable vehicles until SpaceX could design them to be reusable. They were successful on their 11th supply mission. In 2017, they launched a reusable Dragon that had been flown before. This was a tremendous achievement for future space travel in the private sector. Bernadette Wow. What are the implications of this? Hm, I guess the cost of space travel would be reduced quite a bit since the Dragon vehicles can be reused? Teacher Precisely. 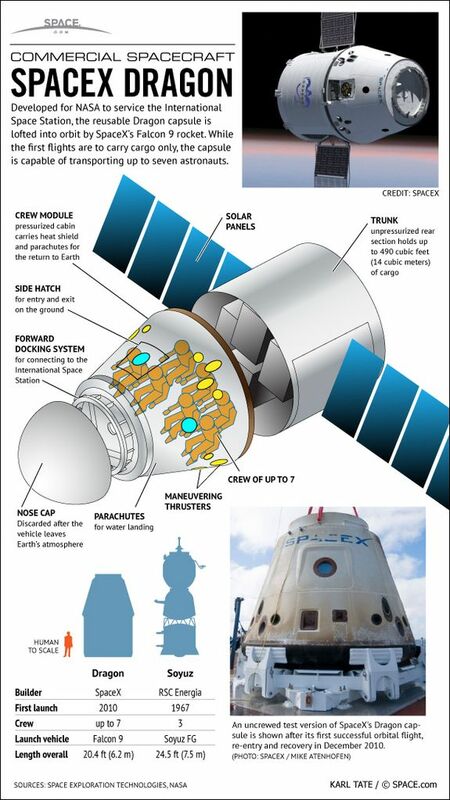 What are some of the specifications (specs) for the Dragon spacecraft? You may use your books to look it up. Fernando It can carry a payload into space of 6,000 kilograms (kg) or about 13,000 pounds (lbs). It can also return a payload from space of about 3,000 kg. Tracy It’s about 7 meters tall and about 4 meters in diameter. It can stay in orbit for up to two years. 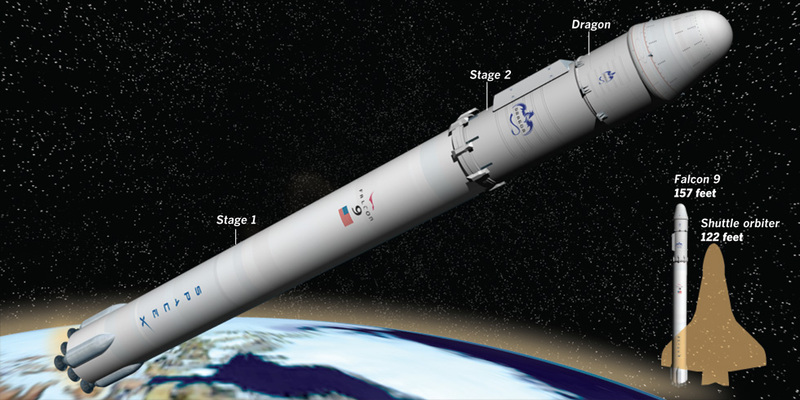 It can carry two types of payloads: a capsule and trunk for cargo and astronauts or a composite fairing for satellites. Teacher Very good. Gerard, tell us about the capsule section. Gerard The capsule is the pressurized section. It can carry cargo and up to seven astronauts. It also has instrumentation, some thrusters for landing, and a heat shield so it can survive reentry into the Earth’s atmosphere. The payload sits on the top of the capsule. Together, they form a cone-shaped vehicle. Teacher And, Bernadette, tell us about the trunk section. Bernadette The trunk is the bottom section and is unpressurized. It can carry cargo that doesn’t need to be kept in a pressurized compartment. It also houses the vehicle’s solar arrays to supply it power. Teacher Excellent! The inside of the capsule can be configured for cargo, crew, or a “DragonLab”. Fernando How does it get into space, sir? On a rocket? Tracy The book says that it is launched on top of a Falcon 9 rocket with two stages. One stage is reusable. Teacher Yes. 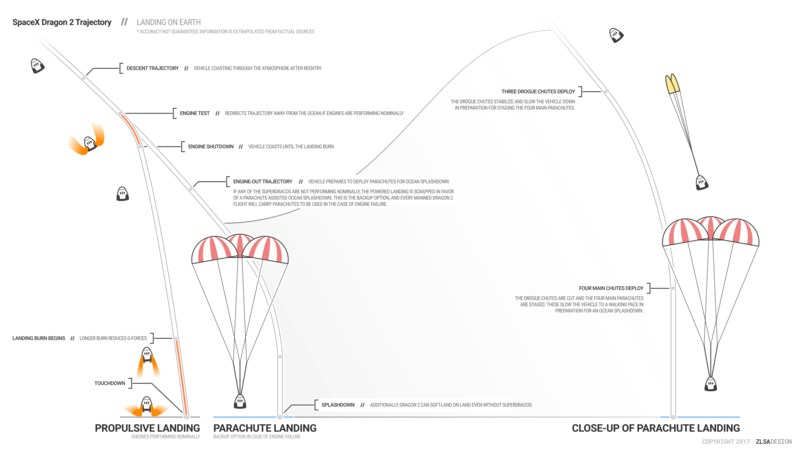 And it lands by falling to the Earth with thruster assist and parachutes with retrieval at sea.